CARL SCHLACK, a founding Member of the firm, advises clients in the areas of real estate, business and finance. He has substantial experience in commercial leasing, purchase and sale, development and financing transactions. Development Projects and Financing: Mr. Schlack has negotiated and documented the development of condominiums, resort hotels, shopping centers, residential housing and office buildings. In addition, he has represented lenders and borrowers in negotiating and documenting loans for business and property acquisitions and developments. Purchase and Sale Transactions: Mr. Schlack has negotiated and documented numerous purchase and sale transactions involving Amfac, Aston Hotels, Biscayne Bay Hotel, Campbell Estate, Castle Foundation, Coca Cola, Colony Surf Hotel, Del’s Farm Supply, Eastman Kodak, Honolulu Club, Hawaii Medical Library, Ihilani Hotel and Ko Olina Golf Course, Kalakaua Center, Kaneohe Ranch and Victoria Ward, Limited. Retail Anchor Tenants: Best Buy, Borders, Computer City, Consolidated Theatres, Cost Plus, Dave & Buster’s, Eagle Hardware, F.A.O. Schwarz, K Mart, Liberty House, Linens N Things, Marshals, Nordstrom, Office Depot, Office Max, PetSmart, Regal Cinemas, Ross Dress for Less, Sak’s Fifth Avenue, Sports Authority, TJ Maxx and Whole Foods. Retail National Tenants: Anne Klein, Bally, Banana Republic, Bose, Bugle Boy, Calvin Klein, Converse, Cost Plus, Crazy Shirts, Donna Karan, Ever Blue, Famous Footwear, Forever 21, Gap, Guess, Izod, Jamba Juice, Kenneth Cole, Levi’s, Linens N Things, Max Studio, Ocean Pacific, Patagonia, Payless Shoesource, Pier-1 Imports, Radio Shack, Renoma, Sally Beauty Supply, Starbucks, Supercuts, The Nature Company, Tiffany & Co., Tommy Bahama, Tommy Hilfiger and Van Heusen. Restaurant Tenants: A Pacific Café, Brew Moon, Buca di Beppo, California Pizza Kitchen, Chili’s Grill & Bar, Compadre’s, Denny's, Dixie Grill, Gaucho Grill, Genki Sushi, Kakaako Kitchen, Kincaid’s, Kua'Aina Sandwich, McDonald’s, Michel’s at the Colony Surf, Olive Garden, Orson’s, Pablo McGinty's, Palomino’s, Panda Express, Pizza Hut, Ruby Tuesdays, Ruth’s Chris Steak House, Ryan’s Bar & Grill, Subway, Teddy's Bigger Burgers and Wolfgang Puck Express. Office Building Tenants: Actus Lend Lease, Aloha Petroleum, AT&T, Atlas Insurance, Bank of Hawaii, Blue Planet, Canon USA, Countrywide Home Loans, DFS Hawaii, Digital, GEICO, Hawaii Pacific Health, Hawaii Pacific University, Hawaiian Airlines, Heald College, Hertz, HMSA, IBM, Kiewit Pacific, Muscular Dystrophy Association, Parsons Brinckerhoff, Prudential, State of Hawaii and The Travelers. Industrial/Warehouse Tenants: Banana Republic, Bose, Coach, Hansen Food Service, Kibun Foods, Marukai, Nordstrom, OCE USA, Otis Elevator, Outrigger Canoe Club, Servco Pacific, Shirokiya and Toshiba. Mr. Schlack is the 2015 "Lawyer of the Year" (Real Estate) for the State of Hawaii, he is listed in Best Lawyers in America and in Chambers USA America’s Leading Lawyers for Business (Top Tier), and he has received Martindale Hubbell's highest rating of "AV Preeminent." 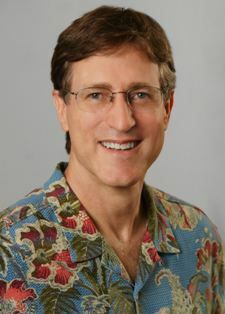 He is the author of “Nonconsensual Civil Commitment in Hawaii: A Reexamination of the Requisite Standard of Proof,” University of Hawaii Law Review (Fall 1984), and a co-author of the Hawaii chapter in the State-by-State Guide to Commercial Real Estate Leases (Fourth Edition, 2012). Mr. Schlack is a member of Central Union Church where he has served on the Church’s Board of Deacons and currently serves on the Church Council. He has volunteered his time to coach and referee youth soccer (AYSO) and to coach youth baseball (PONY).